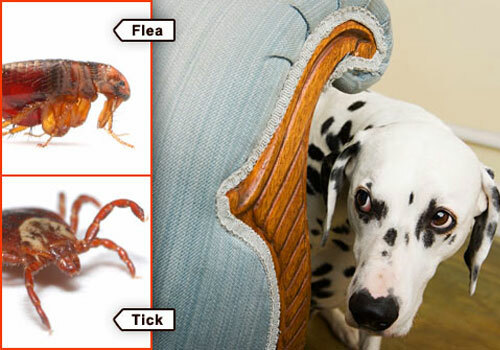 Fleas and ticks are a common pest problem when you have pets, and they aren’t fun for your dog or you. So in this article, we will look at how these pest control products work and what are the best flea collar for dogs! Are you sick of the constant reminders to apply the spot-on ointment to the back of your dog’s neck every 30 days? Can you not stand the thought of letting off another flea bomb in your home? Maybe it is time to consider a dog flea collar for your beloved pooch. A long-lasting and rather inexpensive alternative to spot-on ointments and other flea medicine for dogs, flea and tick collars could be the answer to all of your pest-free prayers! You may be thinking to yourself, how can a thick piece of rope around your dog’s neck prevent and treat a flea infestation? Well… let’s see how this works! There are two types of dog flea collars, that are most common, one that acts as a repellent, and another that treats an existing problem. The difference is that the repellent collars only emit a gas that is toxic to dog fleas, whereas the treatment collar issues a medication that is distributed throughout your dog’s fur by its natural skin oils, and is then absorbed into the fat layer underneath your dog’s skin. As these dog collars are worn around your dog’s neck, the gas emitted by a repellent collar doesn’t necessarily cover the entire body, and can leave areas like your dog’s legs and rear, untreated. 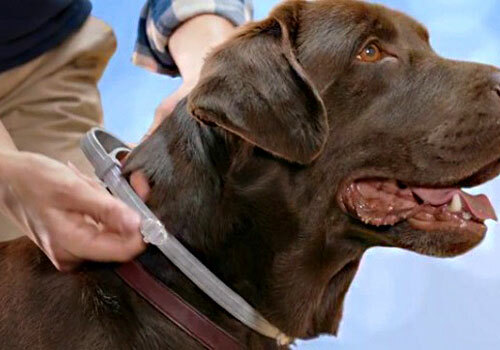 The repellent collars also require a flea to bite your dog before the toxins kill the insect, whereas a medicated collar will kill fleas on contact, before they bite. So what are the “toxins” that are in these collars that we are asking you to put around your dog’s neck? Technically, the ingredients in flea collars are actually insecticides, designed to kill insects but not be harmful to you or your pet. It depends on the manufacturer as to which insecticide is the active ingredient. Before buying any flea collar, it is recommended to check the ingredients with your pet professional to ensure it won’t be toxic to your pet or your family. The safest known insecticide is Deltamethrin, a synthetic pyrethroid that is a derivative of a naturally occurring pesticide found in chrysanthemum flowers. Although Deltamethrin is considered the safest option, Amitraz and Pyriproxyfen are also safe options that target eggs and larvae, paralyzing them so that they are unable to reproduce. Propoxur attacks the flea’s nervous system causing them to die after only 24 hours. Although it is very effective, a collar with propoxur as an active ingredient should be handled with great care and kept away from children, as it is toxic to humans. Tetrachlorvinphos (TCVP) is an insecticide that should be avoided as it has been recently considered to be a human carcinogen, and is also toxic if ingested by your dog. When handled with care, high-quality flea collars are ideal for both you and your pet, and can be a very effective and efficient way to kill and prevent your pup from suffering from the pain and irritation of fleas and ticks. Are you always forgetting to apply a spot-on ointment on your dog’s neck every month? are you finding the oral medications are too expensive? This is why flea collars are a great alternative to spot-on and oral treatments. Flea collars are inexpensive, and some can even last up to as long as eight months! They also help with the ticks! When you have found a type and brand of flea collar for your dog that you like, and that works, a collar can not only solve your pet’s flea problem but also be a great prevention from ticks. Ticks tend to gravitate towards warm, moist areas such as your dog’s face, neck and behind their ears; right where the collar will be waiting to kill them before they can even think about biting your pooch! As with everything though, there are some downsides to using flea collars for dogs. Although the positioning of the collar is ideal for targeting ticks, it can also mean that some of your pet’s body is untreated, including his/her belly, back legs, and rear. If you are trying to treat your pet for both fleas and ticks, a flea collar may not suffice as a lone treatment. Also, if you have a family, it is important to remember that many of the insecticides used in flea collars are dangerous if ingested by a human, particularly a child. This is a common reason why pet owners prefer spot-on treatments rather than a flea collar. It is important when choosing a flea collar for your dog, that you read all the information on the packaging carefully. Make sure that the type of flea collar is going to be beneficial for your dog, as well as you, your family, and the environment in which you live. You may even want to consult your local veterinarian about the brands and insecticides that they would recommend for your dog. In particular, you should check the packaging of the flea collar and ensure it’s the right choice for your dog. Things like, whether there is a minimum age or weight that your pet must be to cope with that type of treatment, how long the collar will protect your dog for, and what type of insects it kills (whether it is dog fleas and ticks, or just one of the two). Make sure you also read and analyze the subtext on the packaging. Collars that say “repel” or “ward off” will not necessarily treat your dog’s existing flea problems. However, one’s that say “kills fleas and their larvae” are more effective options. 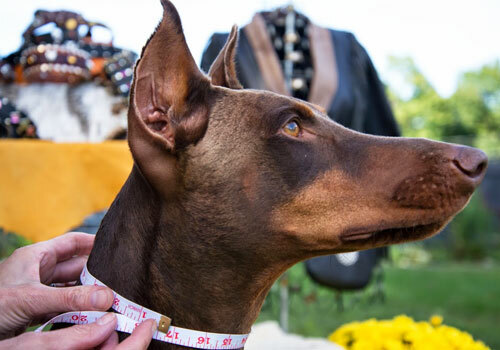 The fit of a flea collar is also very important to ensure that the product works to the best of its ability. 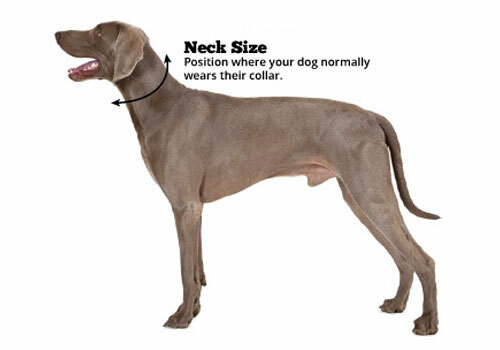 Be sure to check the length of the collar and either measure it around your dog’s neck or compare it to a former collar that your dog has worn. The collar should fit snug around your dog’s neck so that your dog cannot reach down and gnaw at it, and so that the insecticide can be properly distributed across your pet’s body. To help you decide on the best flea collar for your dog, we have consulted with an expert veterinarian to provide you with information and reviews so that you can make an informed decision. Check the products below and see which dog flea collar suits best for your dog. The Seresto flea and tick collar is one of the most popular products on the market, as well as one of the longest lasting. Although it is marketed to treat both flea and tick infestations, the Seresto collar is much more effective when treating flea problems. This particular collar has a sturdy construction and does not leave a greasy residue on your dog’s fur or on your furniture. It also has a slow release function which means it can treat your dog for up to eight months, as well as prevent re-infestation. 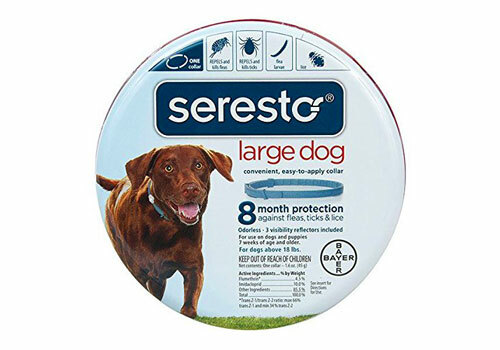 The Seresto flea and tick collar has the convenience of being water resistant, and will continue to work after monthly bathes or the occasional swim. 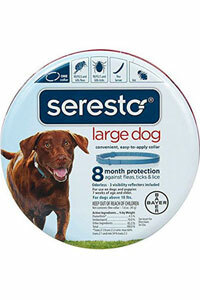 It will also take approximately 7-10 days for the chemicals in the Seresto collar to take effect. Click here to buy Bayer Seresto Flea Collar (Large Dogs) on Amazon. 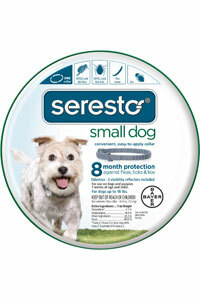 Click here to buy Bayer Seresto Flea Collar (Small Dogs) on Amazon. The Scalibor protector band is a versatile and elegant looking flea collar for those dogs who always like to look their best. 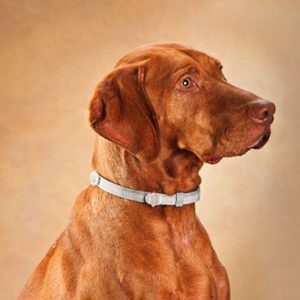 The most beneficial aspects of the Scalibor collar are that it is odorless and water resistant. The active ingredient in the Scalibor protector band is Deltamethrin, which is the safest known insecticide for use in flea collars. 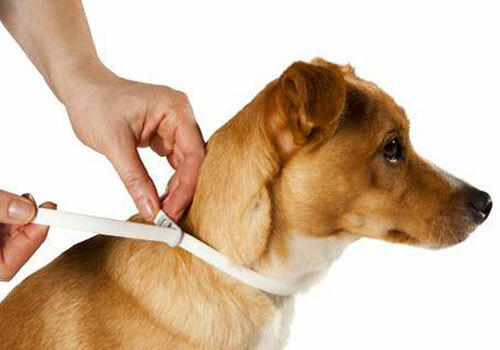 The collar will also treat and prevent your pet from fleas and ticks for up to six months. 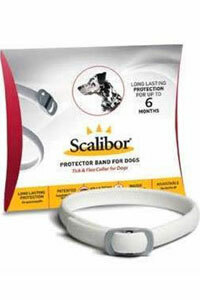 The Scalibor protector band does not emit a chemical but applies it to your dog’s skin by rubbing. 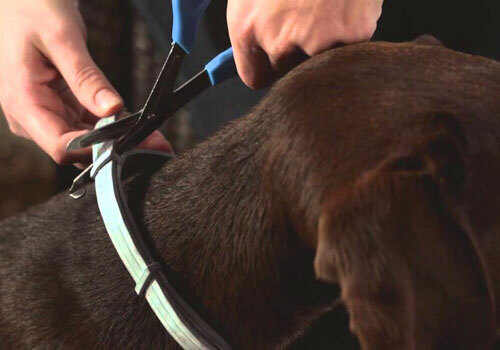 It will also take the Scalibor protector band 1-2 weeks to have your dog fully protected, so it is recommended that you put the flea collar on your dog 10-14 days before you anticipate flea or tick exposure. 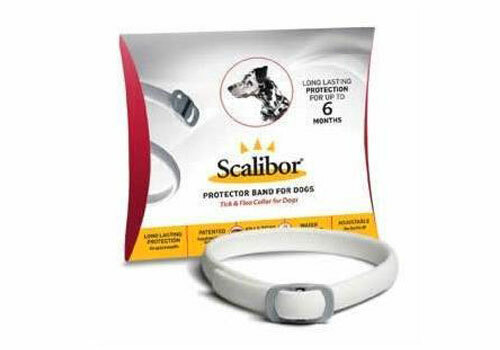 Click here to buy Scalibor Protector Band on Amazon. Before putting a flea collar on your dog, make sure that the collar you have chosen is the right one for your dog’s age and size, and will kill all the necessary pests that you wish to destroy (including larvae and adult fleas and ticks). Once you are sure you have the right product, you do not need to prep your dog’s fur or anything like that, just take off his/her existing collar (if they wear one) and replace it with the flea collar. Make sure the sizing of the collar is correct, and that your dog cannot reach down or gnaw at the collar, as ingestion of the chemicals could be harmful to your pet. When handling a flea collar, always remember to wash your hands after touching it. It is also recommended that some collars (depending on their ingredients) should be kept away from children, as the chemicals can be very harmful if ingested. It is a common misconception that flea collars need to be worn constantly. 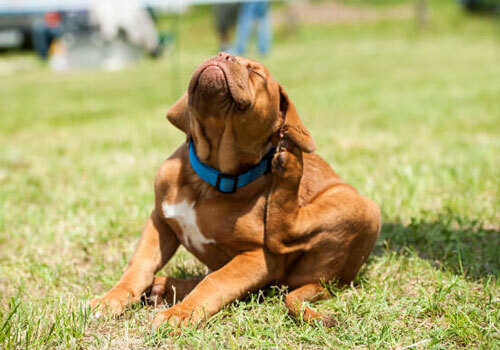 If you are only using the flea collar as a simple preventative method, put the collar on your dog when you know they will be running around in the long grass, or they will be in a known flea or tick infested area. After the day is over and your pet is back at home, you can remove the flea collar and store it in an air-tight container or a plastic baggy. 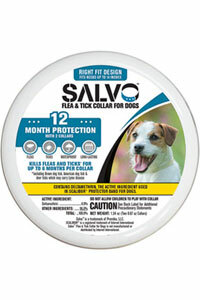 If you are using a flea collar as treatment of an existing flea infestation, put the flea collar on your dog for the time suggested on the product packaging. If, after this time, your dog is free from fleas, remove the collar and discard it appropriately. Purchase a new flea collar or consult your pet professional if the problem persists. Another effective way of using an old dog collar is by placing it in your vacuum cleaner’s bag. When sucking up all the dirt and dust that fleas and ticks might be hiding in your home, the gas emitted from the collar will kill the dog fleas once they are inside of the vacuum bag. Before dealing with any chemicals, it is important to read all the safety instructions associated with the product. It is also important to be careful when handling a flea collar because if the chemicals are ingested by the dog, yourself, or another adult or child, this could be very harmful. Checking with your local vet to make sure that flea collars are a suitable treatment for your dog. Reasons your dog may not be able to use a flea collar include, if your pet is on any other form of medication, if it is an older dog or a puppy, if your dog is pregnant or nursing, or if you dog is sick or allergic to known ingredients used in flea collars. Make sure that you follow the instructions on the products packaging. Only give your dog the amount that the packaging suggests based on its weight or age. Do not give your dog a product that is made for cats, as this could be deadly. Do not double up on products. If you are using a flea collar, it is not recommended to also use an oral or spot-on treatment at the same time. Use caution when handling a flea collar. Either wear gloves or wash your hands with warm, soapy water after touching the collar. Keep other pets and children away from the dog while he/she has the collar on. If another pet chews on the flea collar, or a child touches it and puts their hands in their mouth, this could be very harmful. Watch your dog for signs of an allergic reaction to the flea collar. Symptoms could include vomiting, diarrhea, poor appetite, excessive drooling, or signs of depression. If your dog does have a bad reaction, it is recommended to bathe him/her straight away in water and soap, and read the instructions on the product packaging for further remedies. I am sure, all your questions have been answered by now. But to summarize, here are some of the most common questions that dog owners ask about using flea and tick collars for dogs. Are flea collars the most effective way of preventing fleas? The most effective way to prevent a flea infestation depends on your pet and your home. Factors such as your home’s location and surrounding climate, as well as the severity of the problem, and your dog’s habits will determine the most effective treatment. However, flea collars are a method you should highly consider to treat and prevent flea infestations as they are an inexpensive and long term solution in comparison to other alternatives. Do collars work on both adult fleas and eggs? Certain collars do work to kill both adult fleas and their larvae. Make sure you read the packaging carefully to ensure that this information is explicitly specified. 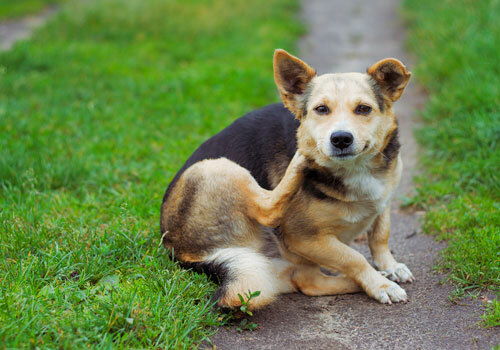 Fleas collars that emit a substance onto your dog’s skin tend to be the most recommended product for killing both adult fleas and eggs because this treatment kills the pests on contact. 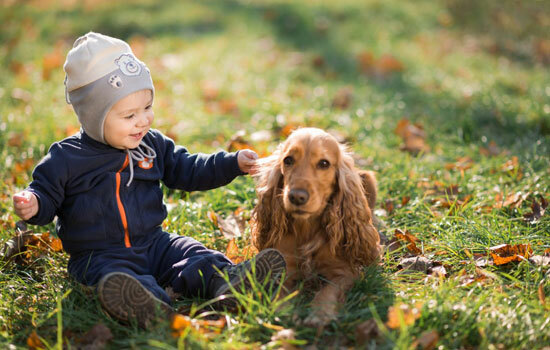 Is it toxic for human and kids to touch your pet? The chemicals in the flea collar that inevitably kill the pests can be toxic to humans, and in particular, children. Deltamethrin, Amitraz, and Pyriproxyfen are the three chemicals which are the safest. A collar with Propoxur in it needs to be treated with care and shouldn’t be used around children, and Tetrachlorvinphos (TCVP) is considered to be a human carcinogen and should be avoided at all costs. It is recommended to use caution when using flea collars, to wash your hands after touching the collar, and preferably keep away from contact with children. 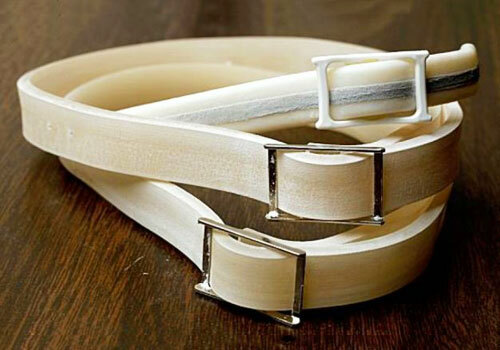 When you should change the collar is dependent on what you are using it for. If you are simply using it for preventative purposes, take the collar off once your dog is out of flea-prone environments. You can preserve the flea collar by placing it in an air-tight container or plastic baggy. If you are using the collar for treatment purposes, consult the product packaging for how long that particular dog flea collar will last for. Can I bathe my dog with flea collar? Most common flea collars for dogs are not waterproof. However, there are new products with added benefits and features, including water-resistance. It is recommended that you consult the product packaging as to whether the particular flea collar you have purchased is water resistant or not. 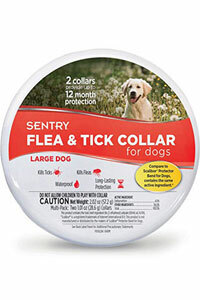 If you are looking for a long-lasting and inexpensive way to treat and prevent flea and tick infestations on your pet and in your home, maybe it is time to give a flea and tick collar a try. 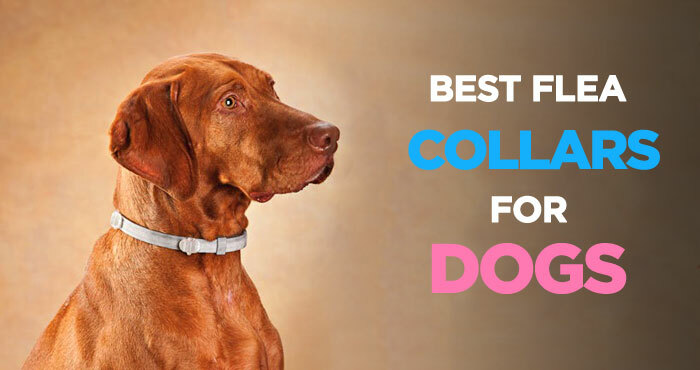 Delete those monthly reminders and say goodbye to flea bombs with our list of best flea collar for dogs. Just remember, that although these products will answer your pest-free prayers, they do need to be used with caution as they can be harmful to your pets and your family. Making sure you wash your hands after handling the flea collar and watching other pets and children when they are in contact with the collar, will be all you need to make sure you keep your family safe while you kill, destroy and conquer those horrible pests! Go grab a flea collar and relieve your pet from the constant irritation of those nasty creepy crawlies! Like this article? You may also like our detailed guides on best flea medicine for dogs. Bayer Seresto Flea and Tick Collar was reviewed by Brian Hersh on June 10, 2018. *Disclaimer: Our review on dog flea collar is based mostly on our expertise and the experts/veterinarians we consulted with and the information provided by the manufacturers. We do test many tick & flea collars, but it’s not possible to test them all. As such, please remember the above recommendations are our opinions, and before using any treatment, please consult with a local veterinarian.